In the design of maxirail, safety was the primary priority and objective. 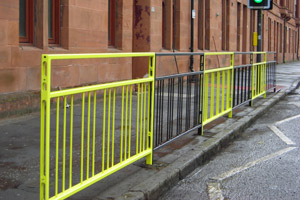 The use of maxirail effectively reduces the accident incidence rate in comparison to other commonly used pedestrian guardrails. 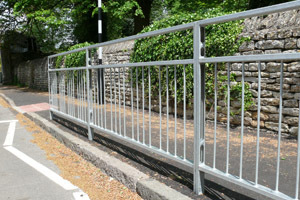 Alternative pedestrian guardrail systems can block clear visibility at minimal distance in advance of the motorists. 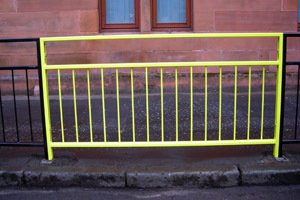 Consequently a small child intending to cross a road can easily be masked or completely obscured. 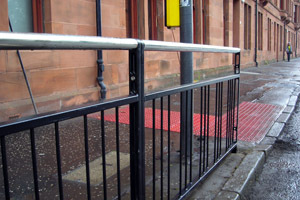 Maxirail is effective in restricting pedestrian access without such loss of visibility. What Makes Maxirail Pedestrian Guardrail So Safe & Unique? 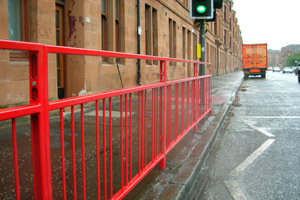 Maxirail provides far greater visibility than any standard unit guard rail. Drivers therefore not only see children and other potential hazards, such as cars emerging from side roads, they also have time to avoid collision. 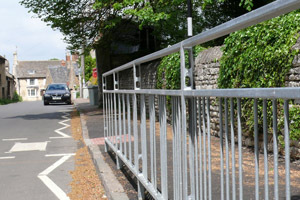 The Maxirail pedestrian guardrail design, construction and choice of infill layout coupled with the utilisation of a visibility gap provide the ultimate transparency for obtaining the maximum vision possible in a unit guardrail at all sight angles. 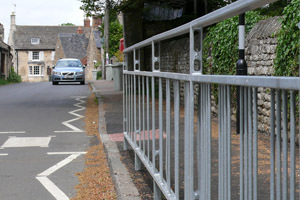 The use of Maxirail as a replacement for standard unit pedestrian guardrail has the potential to reduce both pedestrian and vehicular accidents thus improving road safety and reducing pedestrian and driver casualties.